In every pioneering achievement, there are visionaries, those who theorize and dream beyond the safe haven of the present. However, the visionary’s dreams would not be realized if not for the activist: one whose thoughts become action, who is flexible and accommodating, and who possess the drive to achieve and influence. Edith Graham Mayo, Mayo’s first nurse anesthetist, was both a visionary and an activist. ​Edith has primarily been remembered as the wife of Dr. Charles Mayo, one of Mayo Clinic’s founders. Historically, her professional life as an anesthetist has received little mention. 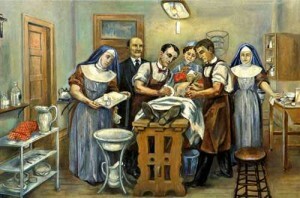 Edith Graham was Saint Marys Hospital’s first trained nurse, anesthetist and nurse educator. She was an integral part of the visionary team that founded what we know today as Mayo Clinic. 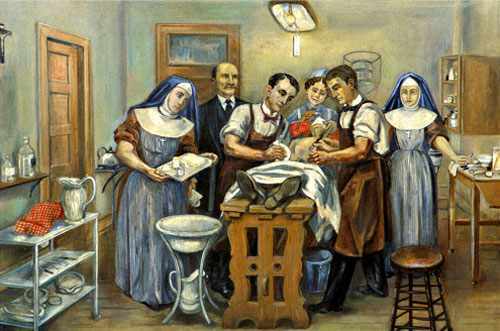 We can confidently say the Mayo Clinic’s success was in part due to the success of its first anesthetist. Edith Graham Mayo’s exemplary life can only inspire those who recognize the need for innovation, constant improvement, and activism within the profession of anesthesia, and our community. Darlene Bannon is a certified registered nurse anesthetist at Mayo Clinic. Evadne Edwards is a certified registered nurse anesthetist who studied at the Mayo School of Health Sciences. Learn more about Nurse Anesthesia Education at Mayo.